If you are fond of Samsung devices, I guess you have already bought the latest version of Samsung smart phone - Samsung S8, right? After you got the new phone, the first thing that you would probably do is to transfer all the phone numbers and other contact information to your new Samsung phone. However, to transfer the stored contacts from computer to a mobile phone or transfer them to a computer for backup is too difficult for most of the users. Therefore, we are glad to show you how to transfer contacts from PC or Mac to Samsung in details. Step 1. Link your Samsung smart phone to the computer or Mac via its USB cable. Then launch the program after the installation. 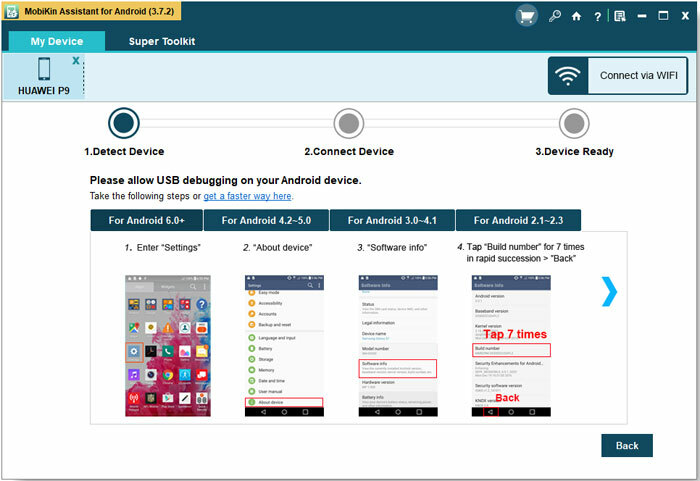 After that, you can enable USB debugging by following the onscreen prompt or click the link to learn more detailed steps. Then tick the "USB debugging opened" option and click "Next" to install USB driver on your computer. Step 2. To transfer contacts from PC to Samsung, you can select the "Contacts" and preview the items on the right panel. Then click "New" to add a new contact info to your Samsung device, or you can click "Import" button to load contacts backups to Samsung device at one time. Besides, you can export the contacts from the Samsung device to the computer as well by clicking "Backup Contacts". Other data like music, videos, apps, books and photos can be transferred between Samsung and PC/Mac. For Mac users, you can switch to the Mac version instead and follow the same steps as above. Here is the main interface of the Mac version. How to Sync Contacts to Samsung Galaxy with Mobile Transfer? Mobile Transfer is not a simple Phone to Phone Transfer program on the market. It also works well as a Android backup & restore program. With it, you can directly backup contacts from old phone to computer and restore the backups to any Android device as you like. What's more, this program have a Mac version for your reference. 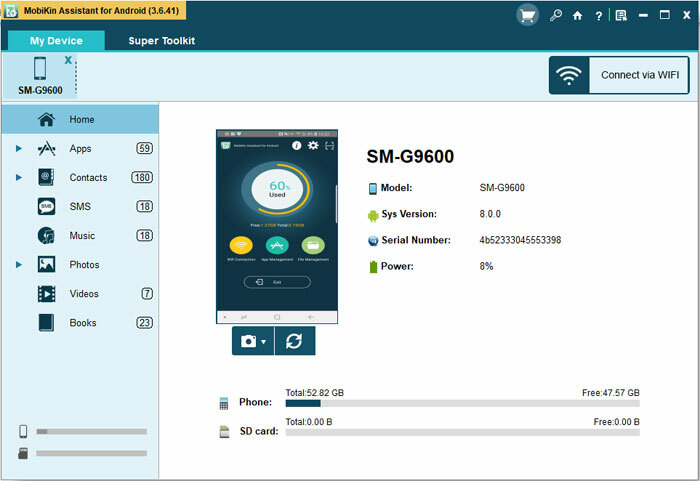 So, you can use this program to transfer contacts to Samsung devices from computer or other phones as you like.